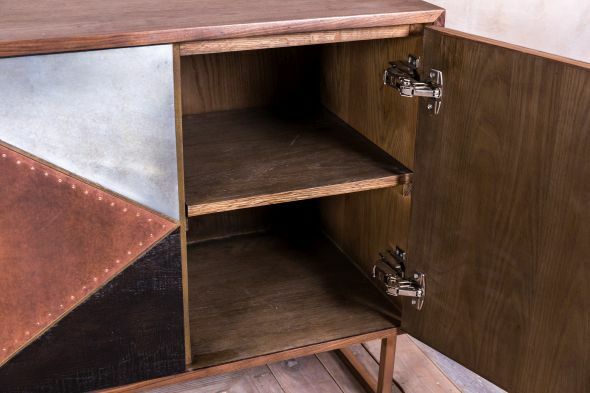 Bring some 1920s luxury into your home or business with this Art Deco style sideboard. 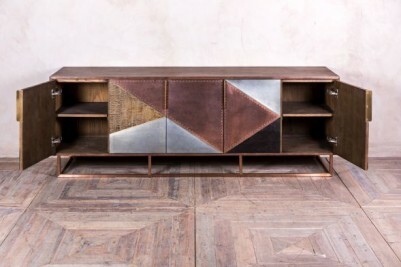 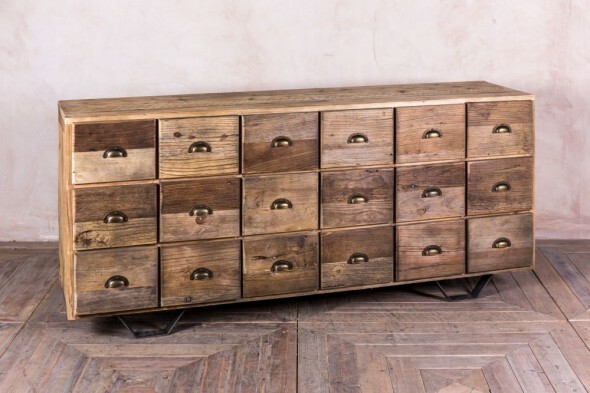 A real eye-catcher, this large piece has a striking zinc, ebony, copper and reclaimed timber front, with a walnut top. 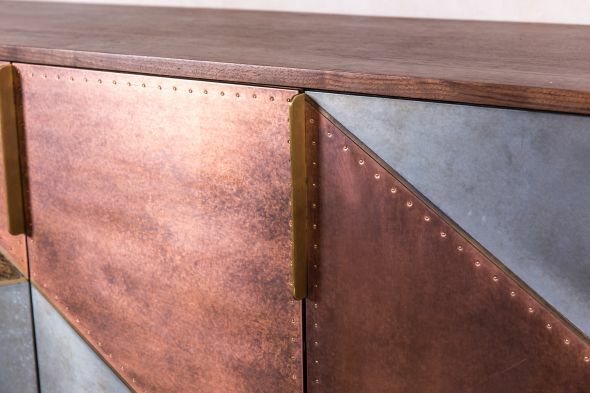 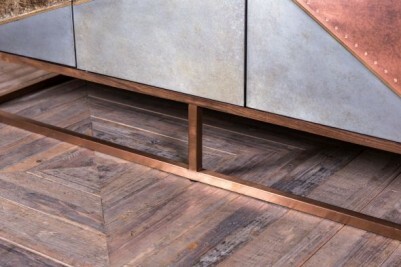 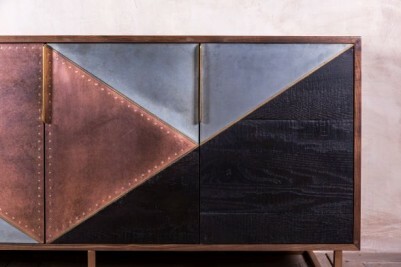 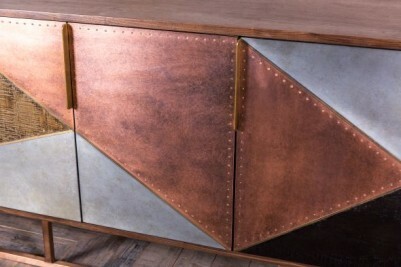 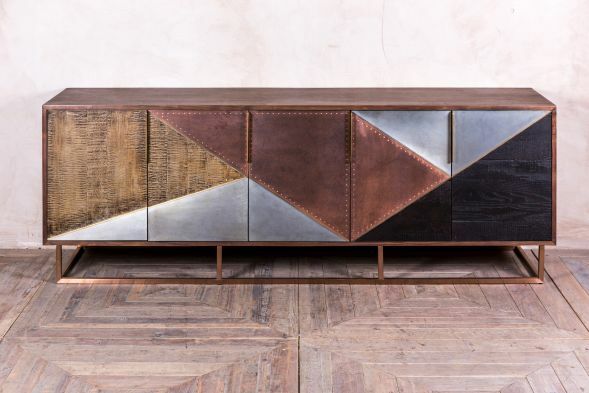 Hand-braised metal with a bronze/copper effect has been used for the base, cupboard handles and delicate studwork; and, as you can see, it complements the other materials beautifully. 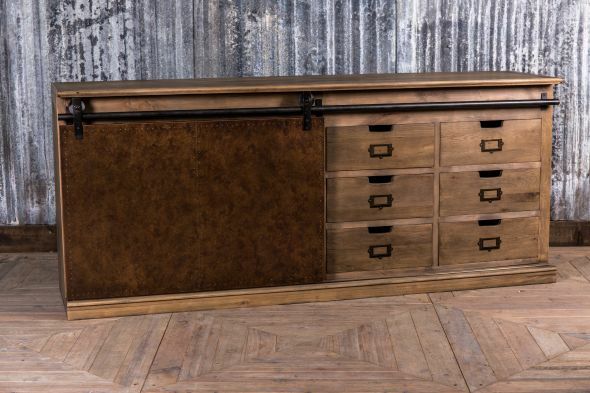 You could use it in your home living/dining room as a decorative place to store dining table accessories, books, magazines, etc. Furthermore, the top provides a great space to put ornaments and family photos. 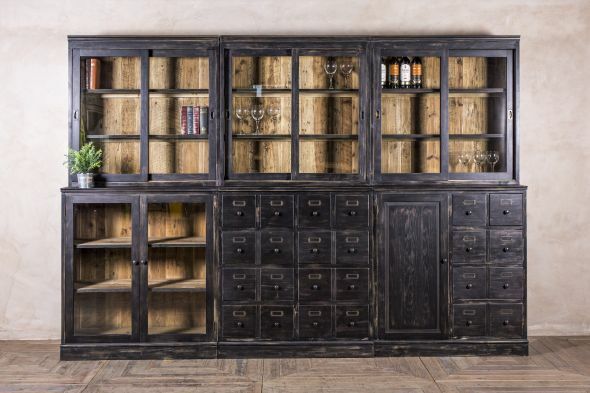 Vintage inspired restaurants and bars could also use it in a similar way; its large, shelved storage space is a perfect place to keep plates, cups, menus, and more. 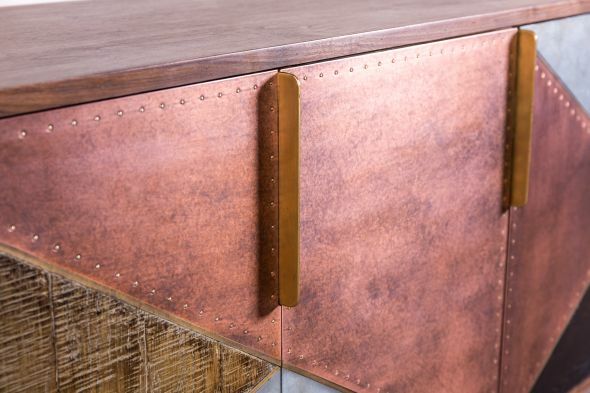 If you like this style, please continue to browse our website, as we have a range of complementing copper, zinc and brass top dining tables.